We are convinced that you know the captivating country of Bulgaria… We also know that some of you have been on a summer or mountain/winter holiday there but hardly have had a time enough to visit all the country’s sights and beautiful places with just one visit! To inform you in details where exactly to go and what to do in Bulgaria, we wrote this article for you – our dear readers! 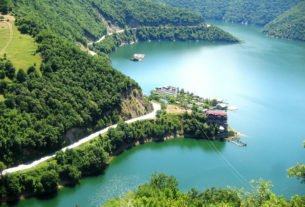 Learn more about the Holidays in Bulgaria – Summer deals for you! 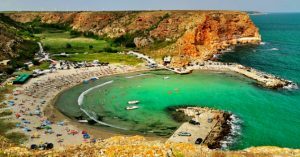 To start of our article today we should point out that most UK tourists go to the magnificent Bulgaria for a summer holiday with their families due to the strongly-developed sea tourism in this magnificent country (many awesome resorts offering great deals and excellent opportunities for having unforgettable stay for holidaymakers of all ages). Except the cheap holidays that the Black Sea coast offers, by visiting the budget and family-friendly resorts in Bulgaria you will get the possibility to take a part in the night life along the Bulgarian seaside , which by the way is really exciting and worth be seen. The Bulgarian’s biggest resort of Sunny Beach that is an incredible mix of entertainments, relaxation and low prices. The picturesque Golden Sands resort that have to be on the top of your list when it comes down to beautiful nature and pleasant time on the beach. The ancient and very romantic cities of Nessebar and Sozopol. 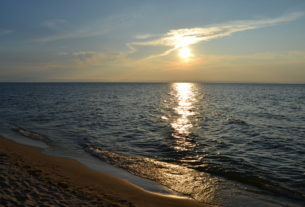 Both towns are the perfect decision for you to go in case you love someone and want to surprise him/her with magical vacation among a fabulous atmosphere! The best news is that all summer destinations in Bulgaria have incredible sandy beaches, renovated hotel base, very good restaurants and so many entertainments! An interesting is also the fact that some of them are protected territories by the lows of Bulgaria (like Golden Sands resort that is truly amazing with its combination of varied nature and beautiful beach), as the presence of mineral springs in some of the other wonderful summer resorts is a good chance for you to treat a number of diseases (if available). Editor add: How about this video of Nessebar? Check this out too, the tweeter of Balkan Holidays Travel company, the leader in Bulgarian – Summer / Winter holidays.